Who believes in conspiracy theories, and why are some people more susceptible to them? What are the consequences of such beliefs? Can policy makers do anything to reduce the impact of conspiracy theories? 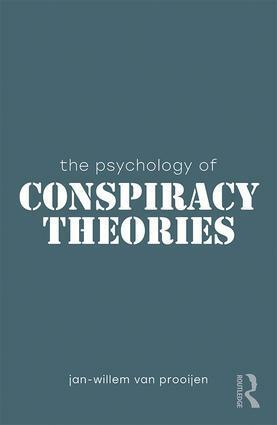 In The Psychology of Conspiracy Theories, Jan-Willem van Prooijen provides an engaging introduction to conspiracy theories, explaining why some people are more susceptible than others, why they’re not a pathological trait, and how belief in them spreads so widely. He debunks the myth that conspiracies are a modern phenomenon, exploring their historical and contemporary contexts from politics to the workplace. Drawing on a wealth of examples, such as the 9/11 terrorist attacks and attitudes towards climate change, the book provides a short, accessible, and state-of-the-art overview, introducing the cognitive, social, and political roots of conspiracy theories.